The heavy gabares (flat bottomed boats), loaded with stones from Saint Même les Carrières or weapons made in Ruelle or eaux-de-vie from Cognac, used to go down the Charente river to the sea from where they returned loaded with salt from Brouage or the Ile de Ré. 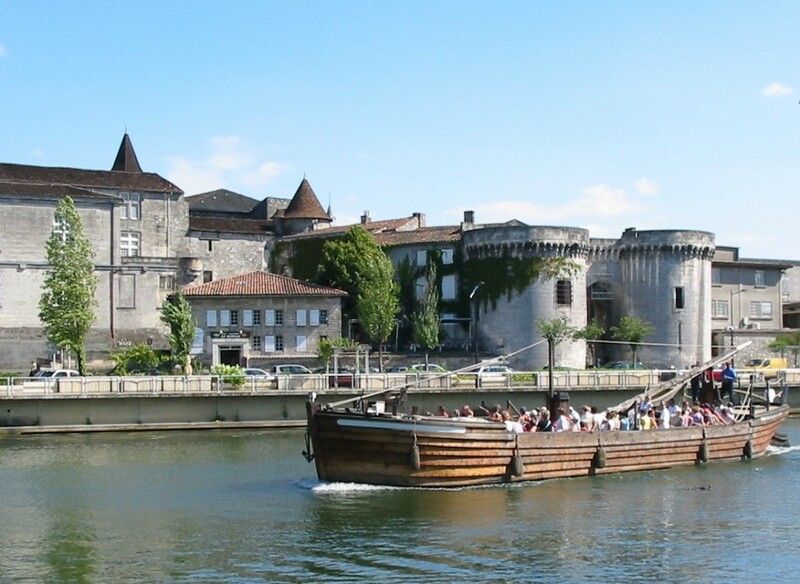 The Communauté de Communes of Cognac has linked up with the past of its river by rebuilding an exact replica of a sailing barge. Cruises for children on board the Dame Jeanne each Wednesday at 4.45 pm. With a guide, your children will learn the secrets of sailing. Picnic Cruise each Friday evening at 8.00 pm, the gabare’s itinerary changes. Bring your picnic and discover the river downstream . In July and August listen to live music on board too.